Note: “Perakuan Pengenalan by Pegawai dalam Kumpulan Pengurusan dan Iktisas Perkhidmatan Awam” are a Public Official in administrative and professional posts with Grade 41 and above. Note: Please provide an English translation, if the Certificate is in other than Malay or English language. Applicant need to come personally for the appointment. Representative are not allowed. Please refer to Temporary Practising Certificate if you are a Non-citizen who wishes to practice dentistry in Malaysia. 1. Copy of document must be certified by Public Official in administrative and professional posts with Grade 41 and above. 2. Registration Certificate will be send to your address via Registered Post. 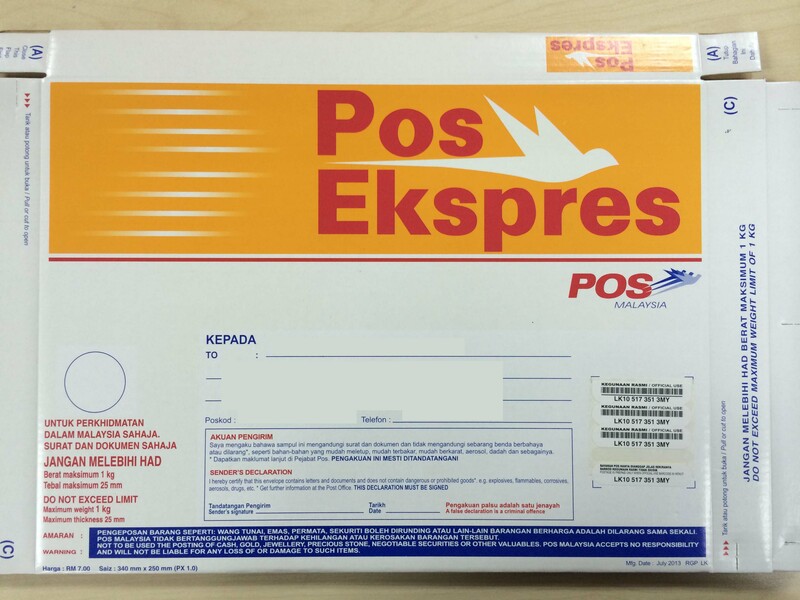 Registrant may also collect the certificate personally or provide a self-adressed Pos Ekspres envelope (Size: 340 mm x 250 mm, Price: RM 7.00, Click to view the sample). Malaysian Dental Council will not be responsible for any loss / damage / delay in the delivery of the Registration Certificate. In conjunction to the announcement made on 13th June 2015, the mandatory national service period has been reduced from 2 years to 1 year. This is only applicable to all practitioners registered with the Council on 1st July 2015 onwards. Registrations before 1st July 2015 are still subjected to the 2 years period. Details.